2. Hanuman is a vanara (a monkey-like humanoid deity), a devotee of Rama, and one of the central characters in the Sanskrit epic Ramayana. Folk tales increasingly eulogise the powers of Hanuman, and he is considered by many to be an avatar of the god Shiva. The qualities of Hanuman – his strength, courage, wisdom, celibacy, devotion to Rama and the many names by which he was known – are detailed in the Hanuman Chalisa. There are more temples devoted to Hanuman than any other deity in India, and recitation or chanting of the Hanuman Chalisa is a common religious practice. 3. The authorship of the Hanuman Chalisa is attributed to Tulsidas, a poet-saint who lived in the 16th century CE. He says in the last stanza of the Chalisa that whoever chants it with full devotion to Hanuman, will have Hanuman’s grace. Amongst the Hindus of Northern India, it is a very popular belief that chanting the Hanuman Chalisa invokes Hanuman’s divine intervention in grave problems, including those concerning evil spirits. 4. Tulsidas was acclaimed in his lifetime to be a reincarnation of Valmiki, the composer of the original Ramayana in Sanskrit. Tulsidas lived in the city of Varanasi until his death. The Tulsi Ghat in Varnasi is named after him. He founded the Sankatmochan Temple dedicated to Hanuman in Varanasi, believed to stand at the place where he had the sight of Hanuman. 5. There are 2 couplets in the beginning and one couplet at the ending between the 40 verses of Chalisa. The Chalisa details Hanuman in the order of his knowledge, devotion to Rama and man without any desire. As with the case of devotional literature, Tulsidas starts the poem with two couplets praising his Guru (teacher). The language of Chalisa is in the refined Avadhi language. 6. The work consists of forty-three verses – two introductory Dohas, forty Chaupais and one Doha in the end. The first introductory Doha begins with the word shrī, which refers to Sita, who is considered the Guru of Hanuman. The auspicious form, knowledge, virtues, powers and bravery of Hanuman are described in the first ten Chaupais. Chaupais eleven to twenty describe the acts of Hanuman in his service to Rama, with the eleventh to fifteenth Chaupais describing the role of Hanuman in bringing back Lakshman to consciousness. From the twenty-first Chaupai, Tulsidas describes the need of Hanuman’s Kripa. At the end, Tulsidas hails Hanuman and requests him to reside in his heart and in the heart of Vaishnavas. The concluding Doha again requests Hanuman to reside in the heart, along with Rama, Lakshman and Sita. 7. Although every chaupai and doha (couplets) of Hanuman Chalisa is miraculous, but there are some Chaupaiyan that show the effect very soon. These Chaupaiyan are very common and are periodically chanted by people. 8. रामदूत अतुलित बलधामा। अंजनिपुत्र पवनसुत नामा। If a person chants this quatrain, he gets rid of physical weaknesses. The line above means that Lord Hanuman is the messenger of Lord Rama and is extremely powerful. His mother is Anjani and as per shastras he is the son of pawan (winds). 9. महाबीर बिक्रम बजरंगी। कुमति निवार सुमति के संगी।। If a person chants these lines of Hanuman Chalisa, he is blessed with knowledge and intelligence. Their bad thoughts are removed and good thoughts generates within them. 10. बिद्यबान गुनी अति चातुर। रामकाज करीबे को आतुर।। If a person wants the wisdom of the world, he should chant these lines. 11. भीम रूप धरि असुर संहारे। रामचंद्रजी के काज संवारे।। When you get tired of your enemies and don’t find a way to get rid of them, chant these lines. 12. लाय संजीवन लखन जियाये। श्रीरघुबीर हरषि उर लाये।। Chanting these lines helps people get rid of illnesses. 13. Lord Hanuman is known to be a God who gets pleased very soon. According to shastras, Lord Hanuman is said to be immortal due to the blessing of Goddess Sita. It is believed that even today, wherever Hanuman Chalisa, Sundarkand, Ramcharit Manas or Ramayan is being read, Lord Hanuman always appear there. 14. बुद्धिहीन तनु जानिकै सुमिरौं पवनकुमार। बल बुधि बिद्या देहु मोहिं हरहु कलेस बिकार॥ Hunterian buddhihīna tanu jānikai sumirau pavanakumāra। bala budhi bidyā dehu mohi harahu kalesa bikāra॥ Knowing my body to be devoid of intelligence, I remember Hanuman, the son of Vāyu. Give me strength, intelligence and knowledge and remove all ailments (kalesa) and impurities (bikāra). Gita Press interprets kalesa as bodily ailments and bikāra as mental maladies. Rambhadracharya comments that kalesa (Sanskrit kleśa) refers to the five afflictions (Avidyā, Asmitā, Rāga, Dveṣa, and Abhiniveśa) as described in the Yoga Sutras, and bikāra (Sanskrit vikāra) refers to the six impurities of the mind (Kāma, Krodha, Lobha, Moha, Mada, and Mātsarya). Rambhadracharya adds that these five afflictions and six impurities are the eleven enemies, and Hanuman is capable of removing them as he is the incarnation of the eleven Rudras. 15. नासै रोग हरै सब पीरा। जपत निरंतर हनुमत बीरा॥ २५ ॥ Hunterian nāsai roga harai saba pīrā। japata nirantara hanumata bīrā॥ 25 ॥ The brave Hanuman, when invoked incessantly by the means of Japa, destroys all ailments and removes all sufferings. Hanuman Chalisa , a great prayer dedicated to Hanuman ji carries a secret. We all know- hanuman ji is giver of boons. But, he must be appeased in a proper manner to get them fulfilled. One is obliged to read it without consuming non vegetarian food,hard drinks. According to Ramayana- Hanuman ji was cursed sage by Matanga that he would lose his powers. It was only after a sincere apologies rendered by this great Ram bhakta; his curse was changed with a precondition. That ,he would regain his prowess ,whenever anyone reminds him of them. Thus, it can’t muttered or read feebly.It must be sung in a manner as if we are activating his powers ..
Well,those who feel shy of public display, can always chant Ram nama,which is equivalent to entire hanuman chalisa. About 1.30 lakh devotees of Lord Hanuman on Saturday set a world record here by chanting Hanuman Chalisa non-stop for four hours. The spiritual event was organized by Sri Ganapathi Sachidanda Swamy of Sri Datta Peetham in Mysore. Devotees thronged the venue early in the morning. The organizers expected a turnout of about 1.11 lakh, but the gathering swelled to 1.30 lakh by the time the programme began. Representatives of Guinness World Records supervised the event. After the four-hour recitation, the Guinness representatives handed over a certificate to Sri Ganapathi Sachidananda Swamy in the presence of Tamil Nadu governor K Rosaiah, local MLA Alapati Rajendra Prasad and MLC Nannapaneni Rajakumari. According to the representatives, 1,28,913 devotees had recited the Hanuman Chalisa. A massive idol of Lord Hanuman was installed at the venue. Rajendra Prasad said ‘anna prasadam’ was distributed to all the devotees. 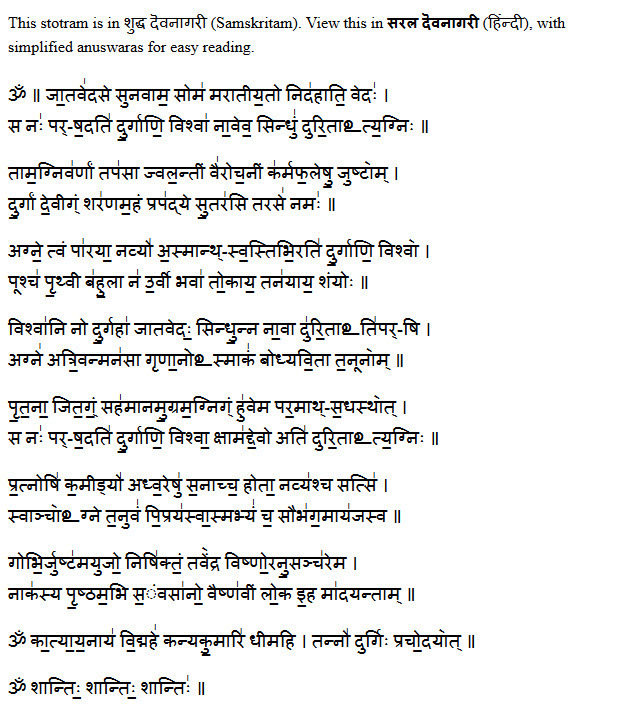 This hymn (स्तोत्र, स्तुतिगी 40;) was written by Gosvāmī Ŧulasīđās (गोस्वामी तुलसीदास) in the sixteenth century. Hanumān Chālīsā is written in Avađhī (अवधी; Awadhi). Ŧulasīđās is called Mahākavi (महाकवि).Ŧulasī ;đās wrote these forty verses in the praise of Lord Hanumān (हनुमान). The hymn containing forty verses is called ‘chālīsā’ (चालीसा). These verses are called chaupāEE (चौपाई) which means four line stanzas. Generally Hanumān-jī is visualised as a bānar (बानर) which is a dialect of ‘vānar’ (वानर). Many Hinđū/s interpret the word ‘bānar’ as monkey-man. But some people say that the word _vānar means a man (नर; nar) who lives in forest (वन; van). True worship of Bajrang·balī is to try to become strong (if your health and age permits). Your complexion is golden colored. Your dress is pretty, wearing rings in the ears and your hair are curly. You are greedy to listen to the naration of Lord Ram’s nature. Ram, Lakshman and Sita hold you dear in their hearts. You brought the ‘Sanjivani herb’ and saved the life of Lakshman. Shri Ram happily took you in deep embrace. “Let a thousand mouths sing your glories”, thus said Shri Ram and embraced you at his neck. Carrying the Lord’s ring in your mouth, you jumped across the ocean from Rameshwaram to Lanka. There is no wonder that you can achieve such a feat. You keep the door of Ram’s abode secure. No one may enter without your permission. The maladies perish and entire pain disappears by regularly reciting brave Hanumanji’s name. Whoever recites this Hanuman Chalisa one hundred times, becomes free from all the bondages and ejoys the highest bliss. O the Son of wind, O the reliever of dangers, you look is the statue of auscpiciousness. Please reside in my heart along with Shri Ram, Lakshman and Sita. The differences between Ishvara [god], Guru [Teacher] and Atma [Self] is only in the form. The one Lord who, like space, is in and through all these forms , I salute that Lord Dakshinamurthi! Hanuman chalisa is one of the most beautiful chants. I am planning for a series of articles on one of the ways to appreciate this chant, this being the first of the series. This is not the usual kind of elaboration on this prayer. Prayers are often studied with an expectation that God is going to come and help us with our situations in life. Such expectations are, most often than not, likely to leave people disappointed. If I have to learn to drive a car, a prayer is not going to help me – I have to learn driving. Similarly, If I am hungry, a prayer is not going to quench my hunger.A tsunami or an earth quake happens and people die like insects – one can very well ask , where is the God ! while such a question may be evaded, it cannot be ignored altogether. I was watching a movie where a devotee is insulted and he gets angry… so he goes on to sing an emotional song and LO! God comes to his rescue. These are good in story books for children. The practical reality of life is : we have to face the situations of life ourselves. If I have not written an exam well, God is not going to help me get good results. People who doubt this can try. Let me take an example, children are told to chant Hanuman Chalisa when they are afraid of darkness. Its fear of ghosts … many people feel creepy in darkness … and they continue chanting Hanuman Chalisa. This is really an example of misuse of prayers. By escaping or avoiding fear, one cannot get rid of it. Prayers are not for this purpose. One has to learn to face fear and root it out from the subconscious … not pray to God and avoid the situation. Psychologists suggest beautiful ways to handle fear. They say that one has to start staying alone in a room with full light switched on and then slowly reduce the intensity of light. The child is given a remote control to operate the light to a comfortable intensity. Slowly the child learns to be comfortable with darkness. This is really a graded approach to facing darkness. One learns to face darkness by facing it – not by forgetting about it or hoping for help from an external source. That’s a significant prayer and it conveys the entire essence of vedantic outlook towards prayers. While portions of Vedas look at prayers and rituals as a means to “achieve” something , vedanta looks at prayer as a means to discover some Truth about ourselves and our nature! A prayer to Ishvara is not a prayer to the Form. Its a means to discover this Dakshiamurthi who is equally present in God as in Me and my Guru! Its a discovery about myself! Whether Hanuman is great or not, how would it change my life ? And if I praise Hanuman, would he be pleased and grant me special boons ? Is this like praising a rich man for special benefits? That style of approaching a prayer is only for people who do not want to think or exert themselves – these are people who want easy results without efforts or who are weak but don’t want to apply themselves to solve their weakness. We need not please god through a prayer. God is ever pleased. The word puja means poornat jyayate iti puja… that which is born of inner completeness. Prayer is a discovery of this inner sense of completeness – we will explore this in greater detail, shortly. A few days ago, I was listening to debates by some scientists (Richard Dawkins and others) on whether or not there is God. I was intrigued by their naive approach to this question. Swami Chinmayananda is said to have once asked: “Does Dwindigole Exist or Not ?” , Dwindigole is a meaningless word. Long before I can debate on whether God exists or not, its important that I appreciate the meaning of this word, “God”. If the word “God” means an unearthly person sitting somewhere in clouds or a separate universe of his own , and monitoring all our lives — Vedanta does not speak of such a God. Its important to understand the definition of God as per Vedanta. Without much elaboration let me first define God as per vedanta: God is the name for what IS(SAT)! Thats the definition of God as per vedanta and if a person now asks “Does God exists ?”, it is no more a valid question in the first place… coz God is defined to be what IS. Please note that this definition of God needs some explanation. I simply postponed it to show that this debate on “Does God Exist or not” does not make sense with the Vedantic definition of God. This said, I am sure to have disappointed certain emotional readers who would want me to avoid using intellect. In their attempt to keep me out of their club through such suggestions, they seem to somehow avoid their problem of intellectual laziness by giving it a color of “devotion”. Devotion is not getting emotional for a few moments. True devotion is much deeper than that. This article is not for people who are intellectually lazy and want to cover it up in the name of devotion. This article is really to show a tangible and practical approach to prayer. Why Should I Worry About God ? 🙂 Because God is “What IS” and “I AM” ! So the definition of God seems to apply to me in some sense – as to what this way this applies I have not yet clarified so the reader needs to show some patience.As already explained, I need not please God, God is ever pleased. If we observe this creation carefully: the mountains, the trees, the birds … the entire nature is as if in meditation! And if at all there is a voice of discontent or conflict, its only in the human mind. And when there is discontent, dissatisfaction or conflict in our minds : its important to FACE IT. We cannot afford to find ways to avoid the problems. We have to face it. Thus its important for us to understand that prayers are not means to escape the sense of emptiness which we feel within. Bhajans or prayers should not be used to forget ourselves for a few moments. Unfortunately thats how most people look at God or prayers. Hanuman seated in meditation, is a symbol. It represents a monkey mind, seated still, composed and Free!! This mind is often compared to a monkey that is very restless by its very nature! Hanuman represents a mind thats totally Still and Reveling in the Self. The aim of praying to hanuman is to discover this within ourselves. This what we have to discover. Rakshashas represent the evil tendencies of our mind which create inner conflicts in us. Hanuman faces these Rakshashas and then vanquishes them to make this mind conflictless. When we study the vedantic truths, we get a glimpse of the Truth and having known the Truth we have to take it into our lives and live it. For actually living it, we need examples or role models so that we can learn from their “style” of living this Truth and improve ourselves. As children we learn’t language etc by emulation. Emulating another person who is already living the Truth is a very effective way to inculcate certain qualities in our lives. That is why studying the lives of great saints or studying bhagavatam, Ramayanam or Yoga Vasishtam can be very useful for sadhakas. They provide excellent stories and saintly lives which serve as prototypes for us to emulate and learn. These stories also encourage us to live a spiritual life. When we study how Hanuman lived through tough times and how he managed to remain strong even when faced with tough situations we “learn” to live like that. These stories convey a lot more than what is conveyed by simple teaching. That’s why its important to go to a guru and live with him and see how he lives what he preaches. Gurus are called Acharyas, who actually “Live” their teaching. Acharan refers to how they actually live these teachings. When we watch them live the Truth we get inspired to live likewise. Hanuman is a role model for Strength and Calmness. He maintained his composure even in the toughest of situations and also remained strong. Having cleansed the mirror of my mind with the dust of the lotus feet of Sri Gurudev, I now proceed to describe the spotless glory of Sri Rama, the most excellent of Raghu’s, which bestows the four fruits. Grant me Strength,intelligence and knowledge and may the knots of my heart be destroyed. These are prayer verses for Hanuman Chalisa. Before starting Hanuman Chalisa these prayer verses set the right attitude for us. Hanuman personifies Strength and Bhakti. When we look at him as our guru, we invoke him in our minds. He stays there in our mind guiding us by giving us inspiration to live a life of strength and a life full of Bhakti. We clean the mind with the dust of Hanuman’s feet. Hanuman’s feet represents where he “Stands” or “Abides”. Hanuman Abides in Self. When dust is at the feet of Hanuman, its no more dust. That is like a purifier for mind. How do we take this dust from Hanuman’s feet ? We take his name and chant his glories. These are all dualistic and hence like dust. But they ultimately dissolve the ego and leave us abiding as Self and hence they are actually purifying. We take this dust from Hanuman’s feet and clean the face of our mind [nija man mukhur sudhar]. Just by remembering him and invoking his presence within, we should stand up strong and with single pointed abidance as Self. This is how the mind is purified. Having cleaned the mind and made it pure by remembering Hanuman, what do we do : baranau raghuvar vimala yash … the pure greatness of sri Rama is what we see in Hanuman’s story. Hanuman is Sri Rama , the body is, and inside there is only Sri Rama. What ever Hanuman achieved, its Sri Rama’s greatness alone. Hence this is really a prayer to sri Rama who is the Awareness within. This prayer is capable of giving us the phal chaar … the four fruits: dharma, artha, kama and moksha. No matter how many gifts we receive through a prayer, this body of ours is eventually going to disintegrate and as this happens there is bound to be suffering. Artha means security. when I seek security it is because I feel insecurity. When I feel insecurity, as we have already discussed, it needs to be faced. One cannot use this prayer as an escape by creating a hope that God will provide us with some external help. Similarly with kama or desires. The onus is on us to discover God within … and this discovery is the discovery of a conflict-less mind. When the mind is conflict-less and we are strong enough to face the situations of life fearlessly, that is true fulfillment – true moksha. There is one kind of security which I get with the hope that God will help me in some way and there is another kind of security which I get when I meditate on God and have become fearless enough to face any situation. True Security is that fearlessness and strength which enables me to remain calm even as the external world presents various situations in life. Similarly there are various desires in our mind and no one can fulfill all those desires. One way is to use the prayer to create a hope that god will give me with the means to fulfill some of my desires. The other way is to discover a kind of inner satisfaction , in-spite of unfulfilled desires – that is the ability to manage one’s mind and not allow an unfulfilled desire to torture us. Similarly with dharma. Dharma is basically what “ought to be done” and when we meditate on Hanuman as our True Self and discover a kind of alert yet relaxed state, we will have the courage to do the right thing … alteast we will have the courage to do what we think is right in a particular moment. Moksha is the discovery of our true nature which enables us to live a conflictless life ! Through this prayer, lets try to understand our true nature. The purpose of remembering Hanuman or Sri Rama in the wee hours of the morning is so that we can start our day by invoking the strength and bhakti that Hanuman personifies and then live through the day in an appropriate way. Through these prayers we invoke Hanuman in our mind. Thereafter Hanuman is seated in our minds guiding us in situations. When a tough situation arises , he says “Hey! Stand up! This is not the time to let yourself down. I am with you. Go and do your best without thinking of results”. Only when this happens will Hanuman be our guru. Or when one gets lured into doing something that is incorrect , if Hanuman is in mind, he should say “Hey! Lets not stoop ourselves to a lower level and live a adharmic life. Lets have the courage to be dharmic” ! This is how the Guru enters the mind and totally destroys all the weaknesses in the mind. This verse starts with saying “Lord, I feel my intellect is limited”. We feel the need for guidance. When we feel like this its intelligent to seek guidance. Where can we seek guidance ? Here we seek guidance from the Lord himself. The guidance from God is in the form of grace, it gives us an attitude which will aid us to discover our own true nature. We are here seeking Hanuman to be our guru and for that purpose we remember [sumirau] Lord Hanuman [pavan kumar]. We recognize the limitations of our own intellect [buddhi henatanu janike] and hence seek Lord Hanuman to remain seated in our minds so that he can guide us. We seek Hanuman to give us Balam, Strength and Buddhi, clarity of mind. This means, when mind tends to get weak, this Hanuman who is seated in our minds should bring himself into picture and say “Hey! Stand up!”. That has to happen. When we chant this prayer in the morning , its like an auto suggestion. We invoke the Lord in our hearts so that we can be strong throughout the day. And this Lord, who is the ultimate ruler in all of us, makes sure that whenever we feel let down he pops up an reminds “Hey! You are my devotee! Stand up to the challenge!” . And we request the Lord to give us clarity of mind so that we can see things as they are : Buddhi. We have also requested for “Vidhya”, which means the right knowledge. Right knowledge is that knowledge which makes us see things as they are, shunning all superstitions and imaginations. When we are able to see things as they are, leaving superstitions and superimpositions of our petty mind … we stand free. Thus we seek Vidhya from the Lord. May he guide us towards right knowledge and away from wrong knowledge. We also request the lord to remove all Klesha in our hearts. Klesha means afflictions of the heart. Afflictions of the heart include ego, pride, attachments and aversions, ignorance etc. We are also requesting Hanuman to eliminate the afflictions of the heart. How ? But giving us Knowledge, Vidhya. Thats the only way the knots of the heart can be cleared and one would see things as they are. All these are like self fulfilling prophesies or auto suggestions to ourselves. So this prayer is to stand up and shake ourselves of all weaknesses, even as Hanuman did it. We emulate him. This strength, that is being talked about, is really not the strength to knock off another person. This is the strength to see things as they are. Its the strength to not run for an astrologer when faced with tough situations. The strength to not give up! The strength to maintain one’s calmness of mind even when the results are not as expected. Its the strength to smile to a person who criticizes us and the strength to do what is right without being bogged down by the worry of consequences. This strength is the strength to pay the income tax correctly even when everyone around seems to do some or the other sort of tweaking. Its the strength to not feel “Less” than the other just because the other person has more money, power etc. This strength is born out of Right understanding which is ultimately what we seek from the lord. This strength is a consequence of discovering that we are “Purna” , “Complete” or “Fulfilled”! Lord Buddha was walking when he saw a group of people carrying a sacrificial goat. He tried to persuade them by telling them that “Killing is ahimsa, not correct” … and that “God does not want you to kill animals like this” … but when they did not agree, he said “Since you think that by killing an animal you shall gain something, leave the goat and sacrifice me instead”. And when he said this with a smile on his face, it shows not just his compassion but also the sense of fulfillment. Its only when I am totally fulfilled can I “Give” without “Hankering after the objects given”. Total fulfillment, is liberation. This is what we hope to see here. Jaya literally means “victory”, its like saying “victory to hanuman”. Its a form of salutation to the Lord. We salute him as he is an ocean of Knowledge and good qualities. gunas are good qualities. Basically it means that Hanuman has such a lot of knowledge and that knowledge was not unbaked knowledge — it was wisdom. so he remained a treasurehouse of good qualities as well. Lets try to understand this victory. True victory is victory over one’s own mind. Hanuman was a guna sagar, an ocean of good qualities – because he was totally in control and totally fulfilled. There is no “Sulking” within for anything. Total satisfaction. Lets try to understand this. As we already observed conflicts or discontent can be found only in human mind. So lets straight away start with the mind. No situation can trouble me without taking the form of a thought in my mind. so if at all I feel tortured or troubled, its only by thoughts. Now the question is … thoughts are supposed to be “instantaneous” . They have too short a lifespan to really trouble us. How then are they getting this ability to trouble us ? How strange is that ? A simple thought whose lifespan span is perhaps a few milli seconds, is able to trouble us ? How is this happening ? Lets try to zoom in and see in slow motion … what happens ? Suppose something happened. An Event. The first thought modification is the recognition of the event. That’s information. The first thought … which is merely the information … is called “Idam Vritti”, “This thought”. And the rest of the thoughts are “Aham Vrittis” or “I-thoughts”. Now both idam vrittis and aham vrittis have a very short time span … they do not last long enough for us to feel troubled. Without the thought “I am ruined” [or some equivalent], I cannot feel troubled and even when this thought arises, its life span is too short to trouble us! We successfully create a sense of continuity “Stringing together” the various “I-thoughts” to create an imaginary “I-Notion” which is troubled. There is no continuity between the various “I-thoughts” … but we string them together by meditating on them and giving them lot of attention. Its like seeing a series of disjoint dots with small “spaces in between” … if we can concentrate on them … with some effort … we can create a sense of continuity … a king of “Line”. But it requires a lot of attention. We have to build it up. Like a series of static pictures create the illusion of a movie when cast over a changeless screen. There is this body … which is jada, lifeless and does not have any emotions or feelings. There is awareness … its the Presence … changeless witness of all these . And inbetween there are all these thoughts .. like passing clouds. When we give them a lot of attention and build an “I Notion” which stands between the body and the awareness … getting hit by all these thoughts … we feel unfulfilled and dissatisfied. In other words we have successfully pulled over the thought world onto ourselves. We are that Witness-Awareness , untouched by all these thoughts. What happens if we do not oblige the thoughts ? Suppose a thought says “I am hurt” … and I do not oblige. Suppose a thought says “I want to go to a party” and I do not oblige? If I do a non-cooperation movement with the thought world ? Sitting as Awareness , if I just remain… and try a non-cooperation movement with the thoughts. What happens ? They cease to have the capacity to trouble me … and in this there is the True Victory. Victory over mind. As long as there is a thought suggestion and I have to oblige without a choice … I am a slave. Victory is to remain indifferent to the thought suggestion and treat them as suggestions rather than commands. For me to be able to do this, I have to see myself as the Witness Awarenss and not the “I-notion” thats built up with thoughts. Sitting thus as awareness its possible to remain untouched by thoughts. This is true victory! This is the victory that we are talking about. Bhakti is not merely an emotional feeling. We need to spend time to understand. When one understands that one is already embraced by God, because God is to the left, right up , above , below … in and outside us … when one understands this much, it leaves no place for oneself to remain ! One is already resolved in the God. Therefore where else to go and what else to do ? One is already in the lap of God. In that recognition one remains resolved and thats true Bhakti. To remain resolved in the presence of God is Bhakti. Its not just getting emotional for a few moments. And its not as if we do not have the experience of God. because any experience is as good as our interpretation of it. We might be seeing God, but interpret it as just an ordinary person. Or we might be seeing just a tree with the interpretation that it is God! So its our interpretation that makes an experience what it is. Interpretation is the intellect. Thats why we have requested Hanuman for the Right understanding or Vision. With the right understanding we see things as they are. This vision allows us to see God in true sense. So we interpret all our experiences. We really do not need any other experience. Because if it is true that God is all around is, it means we are already experiencing God. So what new is needed ? Every experience is an experience of God … and yet we miss it, coz we do not have the ability to recognize. We interpret these experiences that way. Thus we miss God. So what we need is not yet another experience. We need an ability to recognize the experiences we are already having. Thats why understanding is important. The understanding I present is not at all something that will create emotional feelings. Emotional feelings will remain for a few moments and go away. Emotional builtup is not the purpose of a prayer. There are cults that do it and they thrive upon such emotional feelings. We need to look within and discover the Hanuman within. Then there is no need to get emotional: one remains in that joy eternally. This recognition is what we hope to discover through these revelings. Lets delve a little deeper into this. suppose I see a rose. The rose Is, and I know that the rose is there. How do I know that the rose is there ? Because the eyes see it. If the eyes do not perceive I would not know. And when we say the eyes perceive, the eyes are simply instruments, its the mind that perceives. So what exactly is mind ? When the light from the object falls on the retina, a few neurons fire. And these neurons in their turn fire a few more neurons. and this process goes on … the whole network of neuron’s eventually converges to a stable state and then we recognize its a flower. That state of the neural networks is the flower itself. This is what happens in the brain. What happens in the mind ? The mind takes the form of the flower. In vedantic terms mind is simply an ocean of Awareness. Every perception is “Vritti” a form or a wave in that ocean. Awareness is changeless while it appears to have waves etc due to maya. So whenever i see an object mind takes that form — rather it appears to take that form. That form is in the ocean — the pure ocean of Awareness that is Hanuman. Even as there is the form, there is the changeless background: Pure Witness Awareness. One may call this awareness as Dakshinamurthi or Hanuman, that does not matter. If I know something, its in the presence of awareness. IF i do not know something, that means I know that i do not know about an object and that too is in the presence of an awareness. That ocean of Awareness is Hanuman – Changeless Presence: Pure changeless Awareness. He is Jnana Sagara, as he is the pure awareness. What ever is known anywhere , its in the presence of Awareness. He makes all knowing possible, as he is the ocean of Awareness. Thus he is Jnana Sagara — the ocean of knowledge. Our initial prayer verse says that this spacelike awareness is same between the ishvara, guru and atma … its the same space like awareness through all these bodies. The differences are only in the bodies. In other words these bodies are like pots … filled inside , outside and in and through with “Existence” , “Awareness”. Here I would like to clarify that Awareness is Existence. These can never exist separately. An object’s existence always occurs with awareness. And awareness is Existence. so these are not separable. They always occur together. So What IS, is Awareness, coz they are not separable. Due to their occuring together always and never occuring separately, we have to conclude that they are one and the same. This is “WHAT IS”, the Vedantic definition of “God”. Call it Hanuman, Dakshinamurthi, Ishvara … choice is left to the person. So where can Hanuman be found? Inside us as Pure Awareness! The Awareness that makes us see all this is God – Hanuman. When the awareness is reflected in the mind, the mind functions. Superimposing the changes of mind on the reflected consciousness, thoughts etc are associated with the awareness. So there is one mind, in which is reflected Awareness. When the reflected awareness “Seems” to take the form of thoughts, ideas etc its called manas or mind. When the reflected awareness takes the form of past ideas or memories, its called memory, cittam. When the reflected consciousness takes the form of “I” its called ego. And when the reflected consciousness takes a decision, its intellect or Buddhi. The awareness reflected in buddhi is jiva. The awarness as it is, is Brahman or changeless Self.So the direct vision of God is Awareness. Being Awareness is being resolved in the presence of Lord. The whole vedanta is saying “You are Awarness”. Awareness is not “Located” in the body. The body is located in the Awareness ! thats the vedantic vision. Hanuman, as Awareness, also shines the Three lokhas. The three lokhas are waking, dream and deep sleep. ITs the light of Awareness alone, that shines all these worlds. In the presence of Awarness alone can we see now, do we see in the dream and in deep sleep we experience bliss also in the presence of the same awareness. Hanuman is that Awareness and hence is shines the three worlds. So what is a vision of Hanuman ? The vision of changeless Awareness within. This awareness does not change. Thats God. The way we look at the world is, i live in the world and i carry my awareness “in” me. As this body moves, it carries “its awareness”. This outlook is like “I am the body and the body has a mind and in the mind there is awareness”. Vedantic model is totally opposite. This world is no different from a dream. in a dream, all bodies are in mind. And mind is in awareness. And all are mere appearances. So Hanuman is that mind in which all these objects are imagiend up or created by maya. That mind which is the whole mind. This is all the dream of Lord. We appear and disappear as per the imaginations in that total Mind. This is the vision of Vedanta. Hanuman is also said to be kapi-isha, the lord of monkeys. Mind is a monkey, it keeps jumping. That Source Awareness from whence mind “pops” up and into which it dissolves is Hanuman … the Isha or Lord of minds. The God. Hanuman is the Awareness from whence the mind arises in the morning and into which it dissolves and in whose presence it keeps jumping. He is the Lord, because he gives sustenance to it. Without Awareness there is no mind. In the presence of Hanuman the mind “is”, hence he is the lord and he is also the lord because he remains ever unidentified with it, he controls all minds as God. Hence Lord hanuman is the Lord of all minds. As I alraedy mentioned, God really does not require our praise. We may think we are glorifying God, but thats nothing really! The one who is in an through everything, to take a simple act like lifting a mountain on little finger and talking about it, is that praise really ? If we see it carefully, God is omnipresent and omnipotent, so what ever power or ability we associate with him is like a small cup of water taken from the ocean. So then, firstly what we consider as praise of God is hardly a praise ! Secondly, why praise him? Is God like a politician who when praised feels elated and grants special boons ? So this needs to be carefully appreciated. Any prayer to God is not really for God. Its for ourselves. We pray so that we can discover the God within ourselves. If the discovery does not happen, the prayer has gone waste. When we said Hanuman is jnana guna sagar, the point is to recognize that within ourselves. We need to recognize our own true nature as jnana , guna sagar – anything else is ignorance or mithya. Now when we say this, there is a real paradox. We may say Hanuman is jnana sagar, coz his knowledge is really very vast. But we are really limited in knowledge. And then we may call Hanuman as guna sagara coz he has all good qualities, but we have our limitations there as well. So how to discover Hanuman within ourselves ? What do we mean we are that ? The body simply flows on. Body does not differentiate itself from the rest of the universe. Bhagavan Ramana Maharshi says “Deho na janati”, the body does not know. the body simply is working by a law… like water flowing down. the water does not know! So deho na janati, body does not know. so , the body has no division, “this is my limit, and beyond this its not me”. Then, who places a “restriction or limitation” on the body ? Its the ego – I. Thus, when we disassociate ourselves with all the “limited” identities … we remain reveling as “Pure Awareness”, which is limitless ocean of knowledge, coz any “Knowing” happens in Presence of Awareness, hence Awareness is the ocean in which a ripple of knowledge takes place. Awareness is the ocean in which all gunas exist, hence Awareness is the ocean of Gunas. That recognition that “I am that Pure Awareness” is the purpose of this simple prayer. As mentioned earlier, The idea is to recognize this within ourselves. Rama duta, is one who comes from Rama. Ramyate iti Rama. The one who is the source of Happiness is Rama. Hanuman comes from Rama meaning he shows us our true nature as Awareness/Bliss. This is what Rama duta means. A true prayer to Hanuman is therefore to revel in Rama, which is to revel in that pure bliss of our own being. This bliss is object independent. So that kind of reveling is true recognition is true prayer to Rama duuta. Hanuman is also source of Incomparable Strength. The strength is uncomparable, coz its Atman, Awareness and therefore it cannot be cut, burnt, etc. Because awareness is untouched by anything. The usual way of describing strenght is if i can bear a blow then i am strong. now, if i am the body… someone can hit me and i may fall. if i am not the body, even when the body falls, i remain changeless! thats a strength in which no matter what happens to the body i remain untouched. this is incomparable, coz no object can really touch me. Hanuman’s mother is “Anjani”, which , according to swami Tejomayananda ji, is Pure intellect. Hanuman is born of Pure intellect and hence he is Rama Duta, he introduces us to that Rama. When mind is pure, Hanuman is that jnana, or knowledge, which is born of pure intellect and which gives us a Darshan of Lord Sri Rama who is Awareness within. Darshan of Awareness means, we “Remain” as Awareness. Thats one meaning. Swami Tejomayananda ji also says that Anjana means the beautifying paste one applies on eyes. This too may be sybolic. We look at the world and everything we see is interpreted. We interpret things as per our “Knowledge”. We see everything with the color of our interpretation. What ever is seen is seen in the light of awareness. So a philosopher sees a flower and things “Our life is like this flower it soon passes away and the fragnance is gone”. And a lover sees the same flower and things “i wish i could give it to my girl friend”. So both saw the same object … but the perception is based on their intellect. Hanuman is that Jnana through which every experience of life becomes an Experience of Sri Rama, an Experience of pure Bliss. This is the coloring paste that is applied to the eyes … the paste of knowledge. So thats another way of looking at this. 🙂 And then Hanuman is known as Pavana Putra, Pavana is the Vayuh God, or the god of Air. Its property is freedom, its free. And its present everywhere. So Hanuman is said to be born of Freedom or Omnipresence. He himself is that Omnipresence or Freedom and hence he is known by that name. He inherits that quality of Freedom. Thus as we pray to Lord, we have to see ourselves with the coloring paste of jnana and revel in the Bliss thats called Rama. Salutations to the one who eradicates impurities of mind and is a companion of pure mind. Bajarani is actually vajra-angi, one whose body or body parts are as strong as the thunderbolt. Actually it means infinitely strong. Because the body of Lord is not physical at all. Physical body has its limitations. The body that is not physical at all… its Awareness … it cannot be touched. So its the strongest, coz it cannot be hurt by anything ! 1. Tyagavirah or dharmavirah : Valor in vairagya / sacrifice. A person who is a tyagi, he does not hold onto anything at all. There is no dependence on anything, what so ever. So such a person is very valorous because if everything is taken away from him, yet he remains with a cheerful smile. Gutama Buddha was going in a forest and Angulimal, the bandit shouted at him “Stop!” and Buddha continued as if he did not hear. He become furious and started following him. He was shouting as he ran. Buddha continued his walk totally untouched by what was happening. His pace neither increased nor decreased. As he took a breath, he knew he was taking the breath , such was the calmness and mindfulness with which he was walking. And this person ran to him and stopped him. He shouted “I told you to stop and you did not stop! How dare you do that !” and Buddha looked straight into his eyes and without any trace of fear said “I stopped much earlier. Its you who have not stopped ” ! That attitude and the fearlessness transformed Angulimal once and for ever! That kind of fearlessness and total non-dependence on anything, what so ever … is Valor indeed. And this is what we need to discover within. Our true essence, as Hanuman, is that. Awareness is ever independent of everything ! Such is our true nature. Hanuman is a Tyaga vira. 2. Dayavirah : Valor in compassion. Hanuman is said to be very compassionate too. If ever a person just repeats Lord’s name, he is there to save them. Thats a unique feature of Hanuman. Compassion is born of depth & unselfishness. When we develop the attitude of non-dependence with respect to all objects and when we see things with understanding, there is compassion. Understanding here means simply seeing things from a depth. To be able to “Feel” as others feel and yet remain far far beyond that. Thats compassion. 3. Vidyavirah: One who has great knowledge and learning. Hanuman, in the very introduction in kiskindakanda, is said to be very knowledgeable. Yet he was not at all arrogant. Arrogance would have made him Vidyavirah, but not Dayavirah. But Hanuman was both, he had knowledge and yet that knowledge did not make him arrogant. instead that knowledge made him understand that All power is Sri Rama’s alone. That we are just like puppets in the Lord’s hands. Thus he was vidhyavirah and yet not the least trace of arrogance. 4. Danavirah: One who is very charitable. Hanuman is always known to be bestower of Bhakti and thats given free. And he being compassionate and unselfish … charitable nature automatically follows. 5. Ranavirah: one who is valorous in a battle. with golden earrings and matter/curly hair. The body language also conveys some Truth too! Hanuman’s golden hue, is symbolic of the shine of Awareness. For a devotee, this body is really a temple. Its decorated like a temple, with good attention, but no where does one show any attachment towards it. The temple is maintained well, but it remains different from one’s Self always. its always an object of perception, never me. The Lord in the temple is really the Self. The body is kept well and neat. As even the mind is kept well and neat. This does not mean we pamper this body! We just keep it, totally detached. The few marks that Hanuman wears are almost like decorating a temple. Not like perfume and other things we use for Bhoga. The ear rings are very interesting, as Hanuman sits in total silence, the earrings remain absolutely Still — as one with his body. The ear rings remain as still and as stationary as the body itself. When Hanuman sings the praise of the Lord, their movement is once again one with the movements of the body. As said earlier, the movements really reflect Lord himself. Hair is matted and well arranged as we have the temple dome/shikara. This imagery is invoked so that we ourselves remain thus, the body should be motionless , still, relaxed and a smile radiating the peace of Awareness from within. That smile is the golden hue. The asana should be such that there is no pressure or tension anywhere. To remain thus is really expressing this Hanuman from within. The meditation on Hanuman seated thus is really to see our own body as a temple — an object thats well kept, but totally distinct from the Awareness within thats our true nature. This topic is about meditation on Hanuman Chalisa. We meditate on the Lord Hanuman so as to invoke him within ourselves and thereafter he remains seated in our hearts and guides us like our guru. By invoking him thus, within, we are actually cleaning our minds of all impurities. We have seen how awareness is the God and is the ruler of all minds. This God, who is present in all of us … directly available … as Awareness … is also Lord Hanuman. We have meditated on Lord Hanuman’s posture, because Hanuman is Sri Rama Duta… a messenger from Lord Sri Rama. Rama represents Awareness and Hanuman is a messenger of Sri Rama , meaning he gives us a message from Sri Rama. The message from Sri Rama is nothing but a glimpse of his presence in our hearts as Awareness. This glimpse Hanuman gives. We meditate on the various events of his life as all those events lead us to abide as Awareness or abide in the presence of Sri Rama within. Hanuman’s body is only a vehicle inside which there is just the awareness in the form of Sri Rama. This vehicle has no function of its own it is driven by God as god drives. Thats why we see that when Lord Hanuman was at the sea shore, everyone was worried as to who can and will cross the ocean, but hanuman remained mute. Hanuman remained mute because Hanuman had no strength of his own. He was simply what Lord Rama makes him be — just an instrument in lord Sri Rama’s hands. Thus Hanuman was indeed all powerful. When we invoke Sri Hanuman within this body, we give away this body to Lord Hanuman. The body remains where it is, like a log of wood. The body is merely jada or lifeless… it has no desires or emotions of its own. It remains mute like the trees, the oceans, the rocks, the mountains and everything else. The body is one with the whole universe as such… lying where it is. And the mind is surrendered to awareness, its totally resolved in Awareness. So inside there is Awareness, outside is this body. The Awareness is lord Hanuman [or Sri Rama] and this body is merely like a temple. Thus we remain seated. This is invoking the Lord within. Now proceed with the description. As we sing this glorious chant, with this understanding… we should be invoking the Lord in this body and offering our body and mind at his alter. Like a flower offered at the alter of the God, once the body and mind is offered to God it becomes Divine … it becomes a prasada. This body then becomes a temple. Mind becomes one with Awareness. Thus there is just the outer body and inner God… no one inbetween to have the petty worldly emotions. This is true invocation. (I meditate on the Lord who is ) Nicely Seated with the thunderbolt in one hand and the flag in the other, with the sacred thread made of munja grass decorating your body! This is the kind of meditation. As already discussed, meditation on the way Hanuman sits is so that we ourselves sit likewise … making this body a temple of the Lord. Hanuman holds Gadaa or mace in one of his hands, which is the gadaa also means “To Speak” according to Swami Tejomayananda. Hanuman uses this gadaa or his speach [well used words and proper intonation] to destroy the enemies in our mind. That is his speach is conveys the shabda pramanam and hence destroys the demons of ignorance. In the other hand he carries the flag of Sri Rama. Sri Rama is Awareness and the flag of Sri Rama is simply abidance in that Awareness. On one hand he uses words that resolve the ego and lead one to that abidance and in the other hand is the Silence [the flag] which is actual abidance itself. So with words he leads to wordlessness and hence to Silence or Abidance. This is a symbolic way one may see it. The gadaa is not used to kill physically … its uses to kill the ego… ego is the deamon. Ego pops up in our mind in the form of various daemons which torture us and create suffering. Hanuman destroys these with his gadaa [shabda pramana … teaching ] and thereby establishes the flag of Sri Rama [ie, Self Abidance]. Having done this within himself, Sri Hanuman is seated in total Silence, Abiding as Self. We meditate on Sri Hanuman thus so as to invoke the Lord in our own body , making it a temple of the Lord. Thus Lord Hanuman is seated and we meditate on him thus making our own body a temple of Lord Sri Rama and decorating it with proper discipline and Self Abidance. [We meditate upon] the incarnation of Lord Siva, son of Keshari, whose glory [teja] and Valour [pratap] is saluted by the whole world. Lord Hanuman’s glory / glow or fame … teja is world renouned. People respect him for his Pratap, valor, strength. Swami Vivekananda always used to stress the importance of strength and he did it for a very good reason. Strength is very important and meekness should not be entertained. One of the first few statements of Buddha was to shun superstitions. We need to have a logical, rational and strong mind. This is the objective with which we meditate on Hanuman. When we look at Hanuman as the son of Vayu or Wind Lord, its a way of looking at him as a person who is Free. That is a mediation. As such, Vayu blessed Kesari and Anjani and granted them a son who has his “tejas” or his “Glow”. That is a sense in which Vayu is considered a father of Hanuman. Yet again, Siva is considered father of Hanuman (Sankara suvana) because Hanuman born out of Siva’s Nature. Also he is really a Rudra Avtar. An Avtar or incarnation of Lord Siva. So he is seen as “Siva’s amsha or part”. That is one way of meditating on Hanuman. Hanuman’s parents were kesari and anjani. Perhaps these too were allegoric. Kesari means a “Lion” and “Anjana” is already explained as the beautifying paste applied in the eyes and in that sense it means a “beautiful vision” an undersanding which allows Hanuman to look at the world as Self. Thus when we meditate on Hanuman as son of Kesari, we look at him as Lion like in strength. When we meditate on Hanuman the aim is never to please hanuman. Hanuman is ever pleased with all of us. Please see.. When I go to another person, he may say “Hey , you are like this, you could have been better”. But when we go to the God, he cannot say this. Because there , if he says something like that, we can ask “Why did you allow me to be thus ?” ! So with God, he always accepts. He cannot reject any of us. We are already accepted and embraced by him, right now. Because, he does not look at us as “bad” or “wrong”. Please see this friend. We have this kind of divisions. God does not have them. God Loves! And there is only Love when one reaches him. So He is ever pleased with everyone. We do not chant Hanuman chalisa to please him. We chant Hanuman chalisa to recognize Hanuman’s presence within. We chant Hanuman chalisa so that we can invoke Hanuman within. The language of Hanuman Chalisa is very simple and rustic conforming to the popular belief that it was created by the boy Tulsidas. There are 2 couplets in the beginning and one couplet at the ending between the 40 verses of Chalisa. The Chalisa details Hanuman in the order of his knowledge, devotion to Rama and man without any desire. As with the case of devotional literature, Tulsidas starts the poem with two couplets praising his Guru (teacher). The language of Chalisa is in the refined Avadhi language. The Hindu deity to whom the prayer is addressed, Hanuman (Sanskrit: हनुमान्, Hanumān), is an ardent devotee of Rama, the seventh Avatar of Vishnu, and a central character in the Indian epic Ramayan. A general among the vanaras, Hanuman is a disciple of Lord Rama in the war against the demon king Ravan. Hanuman’s exploits are much celebrated in a variety of religious and cultural traditions, particularly in Hinduism, to the extent that he is often the object of worship according to some bhakti traditions, and is the prime deity in many temples known as Hanuman Mandirs. Hanuman, the devotee of Rama, said: When I identify myself with the body, O Lord, I am Thy creature, eternally separate from Thee. When I identify myself with the soul, I am a spark of that Divine Fire which Thou art. But when I identify myself with the Atman, I and Thou art one. Hanuman is the breath of Rama, the breath of God. God is not far away from us but as close as our breath. Symbolically Hanuman represents the breath, our constant companion and aid along the spiritual path. God reveals Himself in the form which His devotees love most. His love for devotees knows no bounds. Puranas say that God assumed the form of Rama for His heroic devotee, Hanuman. I have been reciting Hanuman Chalisa since my childhood and in the process like every other devotee have memorised it. However I still have a problem.Sometime when I recite it , I seem to go into a loop ie go to previous line somewhere in the prayer and start all over again. This has happened many a times, in fact majority of times during past years. I did not discuss it with anyone. Some days back I enquired from my better half , she replied that she sometimes did the same. Some days back I was with my Sister in law (Bhabhi) in the car. I asked her to recite the Hanuman Chalisa for me. She started and look what happened, she also got into a loop. All of us reciting Hanuman Chalisa since past many years, going into a loop and not completing the Chalisa ,I felt a little strange. Last Sunday I had to go up a little early as I had to go somewhere.I was having my bath at 4.00 AM in the morning in cold water. My senses constricted , fear of cold water , I started to bath and was reciting Hanuman Chalisa in complete fear of cold water.It was just like asking for help that the bath gets completed.I completed the Hanuman Chalisa fluently and without any loop. After the bath I realised this and then I caught the secret of Hanuman Chalisa, a prayer for knowledge. Pray for knowledge with full heart and complete devotion. If you are not absorbed , one with God, while praying ,you will be in a loop.A loop of knowledge which won’t lead you anywhere. You can come out of the loop only with complete devotion and surrender. AND ONLY THEN WILL THE CHALISA BE COMPLETE. Hanuman is said to be Lord of Prana .He being son of Vayu Devata ie (air) is closest to us in form of Breath . Swami Vivekananda says breath is the bridge between mind and Atma (self).In Ramayana also Hanuman ji is instrumental in creation of first connection between Mother Sita (Nature) and Lord Rama . In this context I always felt that Pranayama is actually nothing but in Bhakti terms , prayer to Hanuman ji to connect us to Lord Ram . In this context Hanuman Chalisa is said to the greatest form of physical prayer to Lord Hanuman. Having practiced Pranayama for past 15 years and also being reciting Hanuman Chalisa since childhood , I always felt these two should be related to one another in some way. I felt this , because one is Prayer to Lord Hanuman at grosser level and other at a finer level. “Prabhu Mudrika Meli Mukh Mahi , Jaladi langh gaye achraj nahi” ie having Lord Rama’s ring in his mouth ,Hanuman crossed the Ocean full of waves (or mind full of thought waves), nothing to be astonished about. I was overwhelmed , so wanted to share this with all ! I have always admired Hanuman, the monkey god in the Hindu epic of Ramayana. He symbolises complete and selfless devotion to his beloved Rama. He is empowered by his love for Rama and in a way, we can emulate Hanuman to be similarly empowered. Hanuman is the story of how to reconnect to your divine nature, and access the grace that is available to you. The first mantra of the Ishavasya Upanishad, “Ishaavaasyam idam sarvam”, means the entire universe is His dwelling and is enveloped and covered by the Supreme Being. “Wake up in god; walk in god; talk in god; lie down in god…whatever you do is God’s work; whomsoever you meet, see God in the person; God is in everything and everything is in God!” recites Laura Plumb, an ayurvedic practitioner, and yoga teacher in San Diego, USA, who came to India to teach yoga at the International Yoga Festival (IYF) at Parmarth Niketan in Rishikesh. She enjoys the realm of silence and is fascinated by nature’s majesty. “Fortunately, life kicked me hard enough and induced me to go in search of teachers who would help me make sense of both my love of light and beauty, and the suffering I felt in the individualised human experience,” says Laura. Teachers, masters, sages, saints, people with heart from all walks of life, influenced and inspired her. She found herself leaning towards the teachings of Thich Nhat Hanh, Paramhansa Yogananda, Anandamayi Ma, Swami Rama, don Miguel Ruiz, Rita Rivera, Vamadeva Shastri, Suhas Kshirsagar, T K V Desikachar, Maya Tiwari, Swami Chidanand Saraswati and Sadhvi Bhagawati Saraswati. She advocates the Hanuman Namaskar as a panacea for a whole lot of life’s conditions: Focus your mind on that light within, and breathe into that power. Feel your divine Self come alive. Use yourself as a fountain of energy and then channel this energy to others through devotion. “Give them an embodied experience of the divine and of humanity through service. With focus on mantra and breath, we flow through a series of poses that open and offer the heart, and offer our practice as embodied prayer. It is devotional, almost like a puja in motion. This practice takes people out of the head and makes them experience in their own cells, tissues and bones, the miracle of life, and the greatness of the heart. “Follow the path of Hanuman as he is pure love, devotion, power, strength, generosity, dedication, dharana, life and light force, kindness, and humility. Hanuman symbolises the power of mantra, the power of breath, and the power of prana. Hanuman is the power of surrender. Hanuman is ati balwan; he is so strong! As the son of Vayu, Hanuman represents the power of prana, and the power of a mind turned inward to the light of the heart. Act like Hanuman as you practise your yoga: wag your tail, breathe deep, embody your poses with power, remain single-pointed, stay strong, feel your devotional heart, offer your practice to something you believe in, and chant, letting the chant inform the breath and the breath guide your movements. The prayer is to the power of life, light and love within us, and within all. The mantra is Sri Ram, Jai Ram, Jai Hanuman” says Laura. Hanuman was a true devotee of Rama and his devotion evoked wonders. “Nowadays, everyone talks about the power of intent, effectively teaching the sixth limb of the Yoga Sutras, dharana. There is tremendous power in this and brings in clarity of mind and mental concentration. But Hanuman can teach us another greater power. When you combine dharana, the power of the mind, with devotion, the nectar of the heart, you can move mountains, leap across oceans, swallow the sun, and soar into great heights. That may not be literally true, but this is how it can make you feel — when you align yourself with the rhythm and power of the cosmos,” adds Laura. Once Tulsidas went to meet Aurangzeb. The emperor mocked Tulsidas and challenged him to show the lord to him. The poet ingeniously replied that seeing Rama was not possible without true devotion. As a result, he was imprisoned by Aurangzeb. Tulsi Das is thought to have written the magnificent verses of the Hanuman Chalisa in that prison. It is said that an army of monkeys menaced Delhi as soon as Tulsidas finished his ode and recited the same. As per the legends, the lord of Saturn, Shani Dev, is frightened of Lord Hanuman. Therefore, reciting Hanuman Chalisa helps reduce the effects of Sade Sati. So those who are suffering due to the placement of Saturn in their Kundli, should chant the Hanuman Chalisa specially on Saturdays for peace and prosperity. Lord Hanuman is considered as a deity who helps get rid of evils and spirits that can be dangerous. It is believed that if you are troubled with nightmares you should place Hanumna Chalisa under your pillow to sleep peacefully. It helps you get rid of daunting thoughts. We all commit sins intentionally and unintentionally. Rather as per the principles of Hinduism, we are stuck in the cycle of birth and death only because of our sins. Reciting the opening verses of the Hanuman Chalisa helps one get rid of the bad deeds done in the previous and present birth. Just like Lord Ganesha, Hanuman also has the reputation of removing all our obstacles. If one recites Hanuman Chalisa with complete devotion, he or she invites the divine protection of Lord Hanuman who ensures that the devotee faces no complication in life. Reading the Hanuman Chalisa, first thing in the morning, will ensure that your day goes well. It helps you feel relaxed and completely in control of our life. Reading the Hanuman Chalisa can fill a person with divine bliss. Have you seen miniatures of Lord Hanumana either dangling from the rearview mirror of the car or just sitting on the dashboard? What makes him a popular choice for a car? It is widely believed that Lord Hanuman can prevent accidents and ensure success of the trip. The benefits of chanting or listening to Hanuman Chalisa are infinite and incredible. It is believed that if a devotee recites these 40 verses with pure devotion and focus, he or she gets rewarded and all the wishes come true. Regular recitation of the Chalisa bestows you with the Lord’s blessings and grace you with glorious powers. High pitched recital of Hanuman Chalisa creates so much positive energy around you that you feel extremely lively throughout the day. It kills laziness and procrastination and makes one more efficient. It also cures small lifestyle ailments such as headache, sleeplessness, anxiety, depression etc. The devotee who chants Hanuman Chalisa is blessed with divine spiritual knowledge. It is believed that all those who are treading on the path of spirituality get immense help from Lord Hanuman as he shows them the right way and helps them tame their minds so that materialism could be kept at bay. Reciting Hanuman Chalisa helps in reforming people who have fallen into bad company or have become slaves an objectionable habit. The energy that generate from the Chalisa fills the heart of the devotee with positivity and strength. Daily recitation of Hanuman Chalisa with dedication and devotion eliminate all sorts of disagreements and arguments in a family and promotes unanimity, contentment, happiness and peace in life. It removes negativity and brings harmony in relationships. One the verses from Hanuman Chalisa reads as “Bhoot Pichash Nikat nahi aaven, mahavir jab naam sunave” which can be translated to – no evil spirit can affect a person who takes the name of Lord Hanuman and recites Hanuman Chalisa at the top of their voice. It removes all sort of negativity from the mind and soul of the family members and brings peace and harmony within the family. Hanuman Chalisa is a poetic composition in praise of Hanuman. It consists of 40 Shlokas, written by Goswami Tulasidas. It believed that he composed Hanuman chalisa during Kumbhamela in Haridwara in a state of Samadhi. Hanuman chalisa must be recited after taking a shower in the morning or evening. During difficult planetary periods of Shani like Sade Sathi, Saturn Mahadasa and antradasas, Recitation of Hanuman chalisa helps to overcome the difficulties and obstacles. Reciting Hanuman Chalisa for 8 times on Saturdays during these periods is a good remedy. There is an interesting story behind this.Ravana kept Shani in the prison in Lanka,as some body warned him of the impending evil effects of lord shani. When Hanuman visted Lanka, he freed Shani from the prison.Shani, pleased by this ,had given a promise to hanuman that , those who worship Hanuman will not be affected by Shani. One should have faith in god and correct attitude are a must to get the results.Many devotees have experienced the miracles after chanting Hanuman chalisa. It takes not more than 10 minutes to read this beautiful hymn. If you are unable to read the 40 verses, you can recite certain verses to suit your needs. Read at least 11 times daily. Chanting it for 108 times daily is beneficial. Each verse or chaupai has its own significance. For attaining Wisdom and strength read the second opening verse. Recite daily first Verses to accomplish divine knowledge. Regular Recitation of 3rd Verse helps in Reforming individuals from bad habits and bad company. Regular recitation of Verses 7 and 8 helps in cultivating devotion towards Rama and he will be dear to Lord Rama. Regular recitation of 11 th Verse provides protection from poisons and snake bites. Regular recitation of 12th Verse promotes unity among siblings and removes misunderstandings if any. Reciting daily 13th, 14th and 15th Verse will help you in attaining fame and recognition. Reciting the verses 16th and 17th daily helps to regain the lost status and to get desired jobs and promotions. Regular recitation of 20th Verse will help in accomplishing the difficult tasks by removing obstacles. During adverse planetary periods recite 22nd Verse, for divine protection. Reciting 24 th verse daily provides protection from black magic and evil spirits. Reciting 25th verse helps you to achieve good health and frees you from diseases. Recitation of 26 th verse regularly helps in liberation from crisis and difficulties. Recite 27th and 28 th verse for Fulfillment of desires. Recite 30th verse for victory over enemies. Recite 31st verse to attain occult powers and wealth. Recitation of 32nd -35th verses, to enjoy an ethical and fulfilling life without worries. Recite 36th verse For mental peace and harmony. Recite 37th verse For grace of Lord Hanuman.